Rebecca risked a frying injury to once again make us the kind of home-made treats you almost forget can be made at home. We stayed out of the line of oil and kept our attention on the melting chocolate. Rebecca adds: These were too good to not try again, with chocolate. Also presented an opportunity for the culinary anthropologist in me to compare recipes old and new: one from the classic 1950 Betty Crocker Picture Cookbook handed down to our host Dayna, and one from a recent Better Homes and Gardens, based on a 1953 recipe. Each offers clues to shifting tastes and lifestyles. 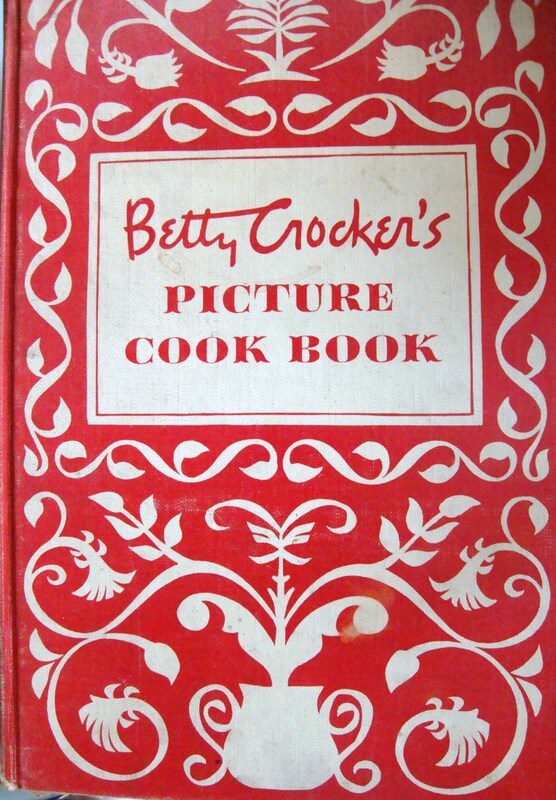 The 1950 Betty Crocker version calls only for shortening, no mention of butter at all, and has half the cinnamon and nutmeg of the 2010 recipe, real indicators of how we’ve become accustomed to spicier foods and have rejected everyday use of “miracle” space-age foods like hydrogenated shortening for good, old-fashioned butter. 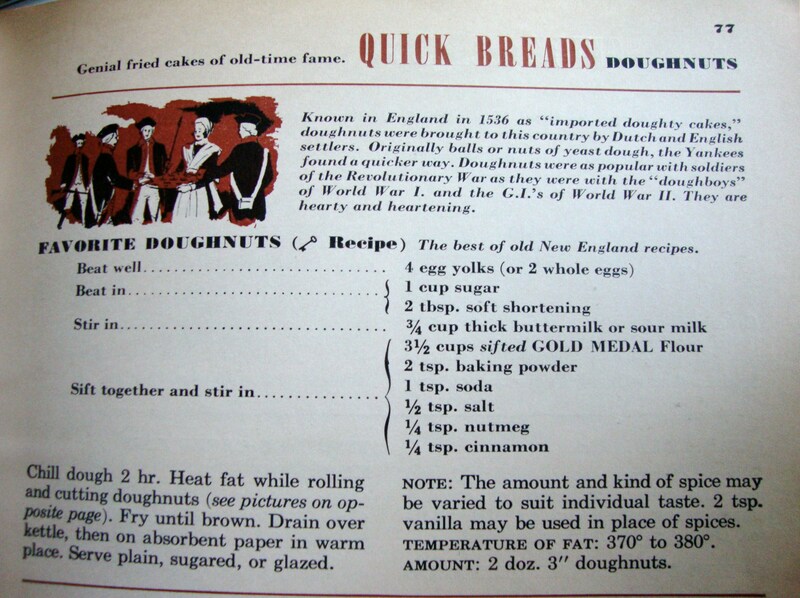 Although interesting to see branding at work even in the 1950 cookbook, which specifies Gold Medal flour. Sorry, Betty. We went with the 2010 BH&G version that had worked so well before, replacing the cinnamon and nutmeg with Penzeys Baking Spice (a mix of nutmeg, two kinds of cinnamon, anise, mace and cardamom—if you don’t know this great mail-order spice company, check it out now! ), which added a nice depth of flavor. 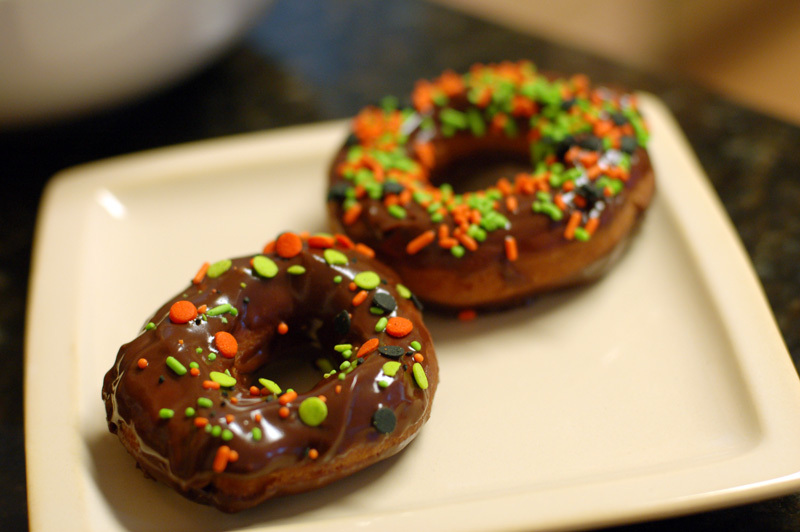 Double-dipped them with a simple chocolate glaze and celebrated the harvest moon with fall-themed sprinkles from Dayna’s Maryland cupboard. The results, as pronounced by recently turned two-year-old god-daughter Zora: “Dee-li-shush.” We agreed.